The Nazis used their infamous camp Theresienstadt (also known as Terezín), forty miles north of Prague, as a “model” camp that they claimed was humane, a ruse that some outsiders accepted. As part of this charade, the Nazis transported large numbers of artists and musicians to the camp. 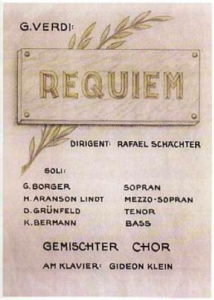 In 1941 Rafael Schächter, a young Czech conductor, was arrested and sent to Terezín. He managed to recruit 150 prisoners and teach them Verdi’s Requiem under near-impossible conditions: learning by rote in a dank cellar using a single score, and holding semi-clandestine rehearsals after long days of forced labor. They performed the piece on sixteen occasions for fellow prisoners—the final time, in June 1944, before an audience of SS officers from Berlin and officials of the International Red Cross. Schachter collaborated with the famed pianist and composer Gideon Klein, among others. Klein would also perish during the Holocaust. Murry Sidlin came upon this story by chance browsing through a book in a Minneapolis bookstore. Sidlin alighted upon a brief reference to the Requiem performances in Theresienstadt and began to question the possibility of such a performance given the circumstances. 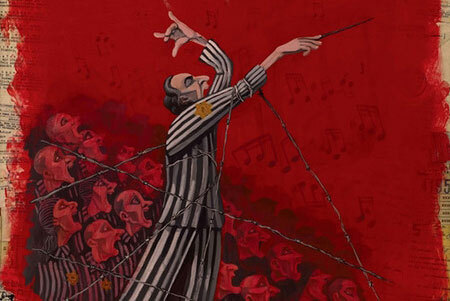 UNC Charlotte’s School of Music and the university’s Center for Holocaust, Genocide & Human Rights Studies will host two events that highlight this striking and powerful form of defiance to Nazism. On November 16, the School of Music and the Holocaust-studies center will show a documentary film, Defiant Requiem, at UNCC’s Center City location. 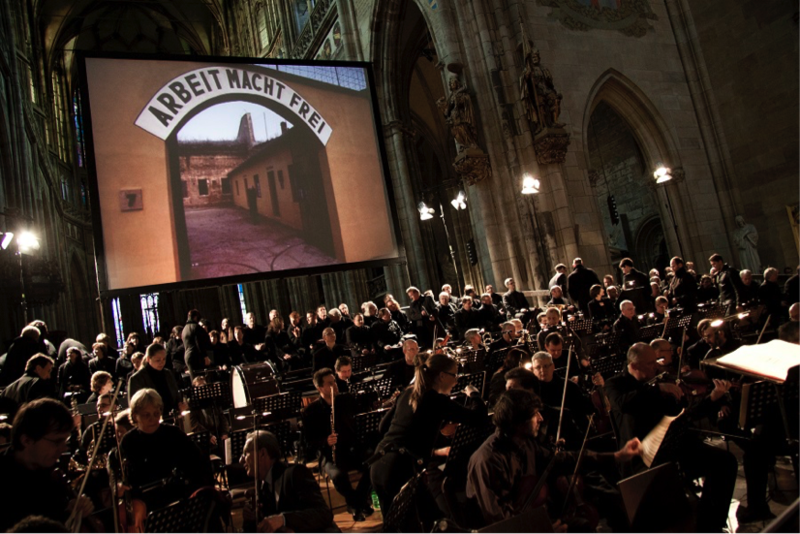 The 80-minute film employs testimony provided by surviving members of Schächter’s choir. 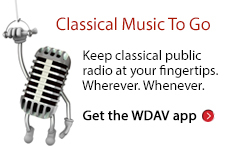 The film explores the singers’ view of the Verdi as a work of defiance and resistance against the Nazis. Susan Cernyak-Spatz, who survived Theresienstadt as well as Auschwitz, and knew artists in Theresienstadt, will speak at the November 16th event. More than once in the last year, Susan has expressed her concern over the rise of nationalism and fascism, which “remind [her] of things [she] saw in Berlin and Vienna” in her youth. The second event will be a concert entitled, “Defiant Requiem: Verdi at Terezín.” Conductor Murry Sidlin created the concert/drama to tell the story of the Requiem at Terezín. This multi-media production will be performed on December 3rd at UNCC’s Robinson Hall. For more information about the performances mentioned visit, Defiant Requiem November 16th film-showing and the Defiant Requiem December 3rd concert. John Cox is associate professor of Global Studies at UNC-Charlotte, where he directs the Center for Holocaust, Genocide & Human Rights Studies.